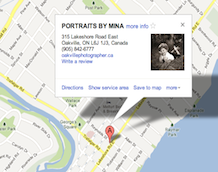 Portraits by Mina, located in beautiful downtown Oakville at the corner of Lakeshore and Reynolds, has been providing fine portraiture since 1984 to thousands of Oakville families. For the last 25 years our customers have entrusted us to produce a fun and relaxed photographic experience and deliver fine portraits that capture their true personalities. 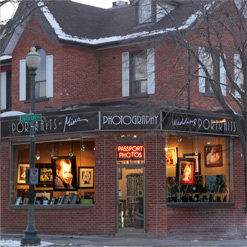 I invite you to browse our site or contact the studio to arrange a visit to our portrait gallery. We look forward to meeting you and your family and capture your special occasion. Corner of Lakeshore and Reynolds.